Few politicians have risen to national prominence as quickly as Marco Rubio. Now in his early forties Florida Senator Rubio is the subject of widespread interest and speculation. In his engaging autobiography, Marco shares his gripping life story. He describes how his parents avoided communism and came to America where they embraced capitalism, democracy, and freedom. He reveals his personal and political struggles as he and his tea party supporters took on one of the nation's most powerful establishment GOP governors to win Florida's Senate seat in 2010. He shares surprising details about his run for Senate and the aftermath, as well as the role his family and faith have played in his American success story. Marco Rubio's story is America's story. His story gives hope. His story is one every American who cares about this country should read. 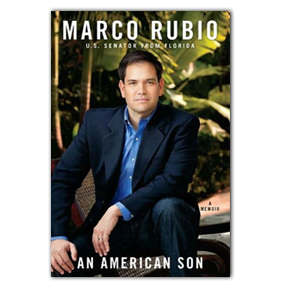 Discover Marco Rubio's incredible journey and learn why a better future is possible if America returns to its founding principles.